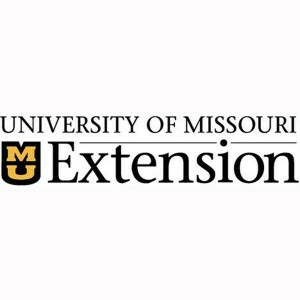 PRESS RELEASE: (Missouri Department of Conservation) — Applications are being accepted for the 2019 Northeast Missouri Livestock Person of the Year award. Applications are open to residents from the following counties in northeast Missouri: Adair, Clark, Knox, Lewis, Linn, Macon, Marion, Monroe, Pike, Putnam, Randolph, Ralls, Schuyler, Scotland, Shelby, or Sullivan. The individual receiving this award must have made a significant contribution to the livestock industry in northeast Missouri and/or beyond. Eligible applicants can be producers of livestock, agribusiness personnel, agency personnel, or agriculture researchers. Other parties who have been long-time supporters of the northeast Missouri livestock industry will also be considered. The selected applicant will become a member of the Northeast Missouri Livestock Producers Hall of Fame and will be inducted at a ceremony at the Missouri Livestock Symposium to be held in Kirksville on December 6 & 7, 2019. Applications must be received no later than 4:30 p.m. on May 1, 2019. Applications may be found at http://www.missourilivestock.com/livestock-person.html, at the Adair County Extension Center, 503 E. Northtown Road, Kirksville, MO or by calling 660-665-9866. The successful applicant will be inducted into the coveted Northeast Missouri Livestock Producer Hall of Fame and receive a hand painted 20 x 24 framed oil portrait with plaque. Past inductees include Oscar Mensa, Milan, MO (2018); Dr. Fon Owings, Unionville, MO (2017); Dr. Gaylen Hill, Kirksville, MO (2016); Larry Wiggins, DVM, Memphis, MO (2015); Bruce Lane, Lancaster, MO (2014); David Moore, DVM, Kirksville, MO (2013); Harold Trump, Luray, MO (2012); Bob Perry, Bethel, MO (2011); Paul Wilson, Shelbyville, MO (2010); Charles Selway, Williamstown, MO (2009); Kyle C. Kent, DVM, Green City, MO (2009); Kenneth Eitel, Green Castle, MO (2007); Garry Mathes, Greentop, MO (2006); Dale Watson, Kirksville, MO (2005); Wayne D. “Doc” Smith, Winigan, MO (2004); and Bill Sidwell, Queen City, MO (2003). If additional information is required, please call Garry Mathes at 660-341-6625 or the Adair County Extension Center at 660-665-9866.